This is the time of year to show your patriotism for those of us who live in the USA. The official observation of Memorial Day this year is Monday, May 26th, Flag Day is June 14th and then of course there’s Independence Day on July 4th. 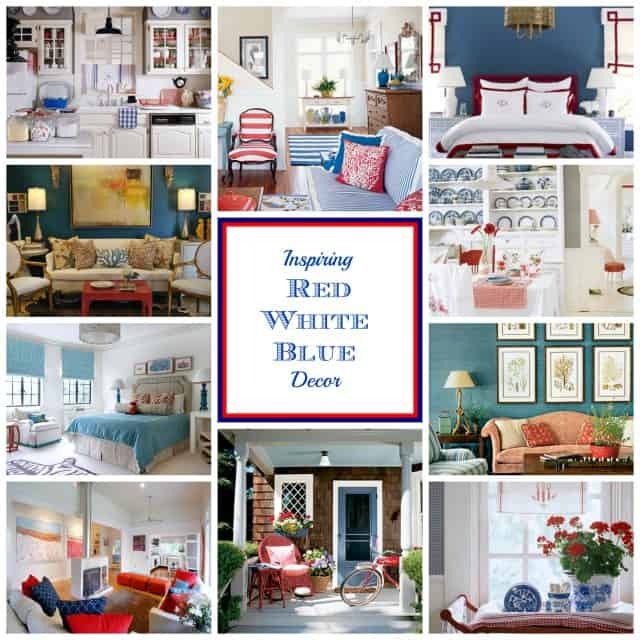 So in honor of the red white and blue, here are 10 fun ways to celebrate American pride around your home. 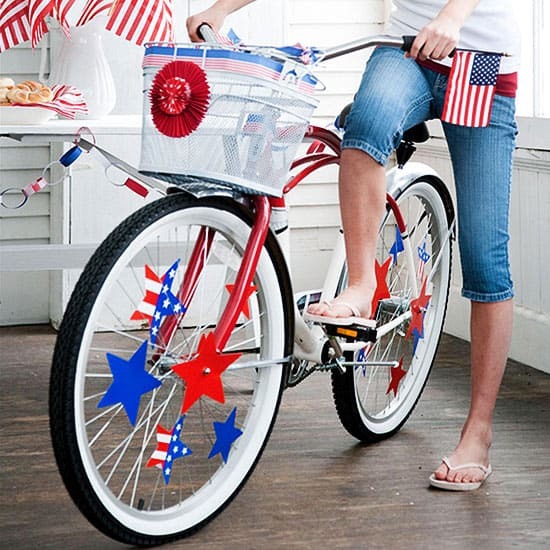 A bicycle decorated with a fun basket, flags tucked into the handles and star cut-outs attached to the wheel spokes is adorable and would be something unexpected sitting on your front porch. 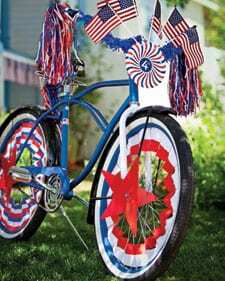 Here’s a more elaborately decorated bike from Martha Stewart. 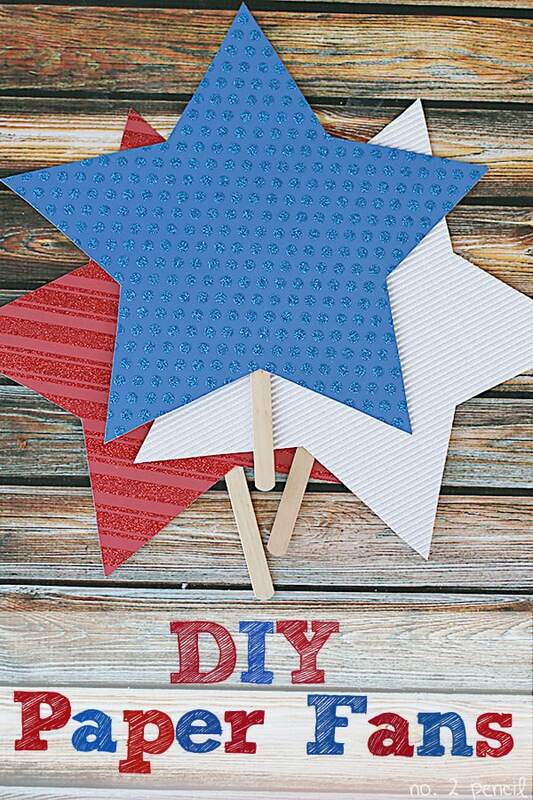 Click on the link to get templates for all of the cut-outs. 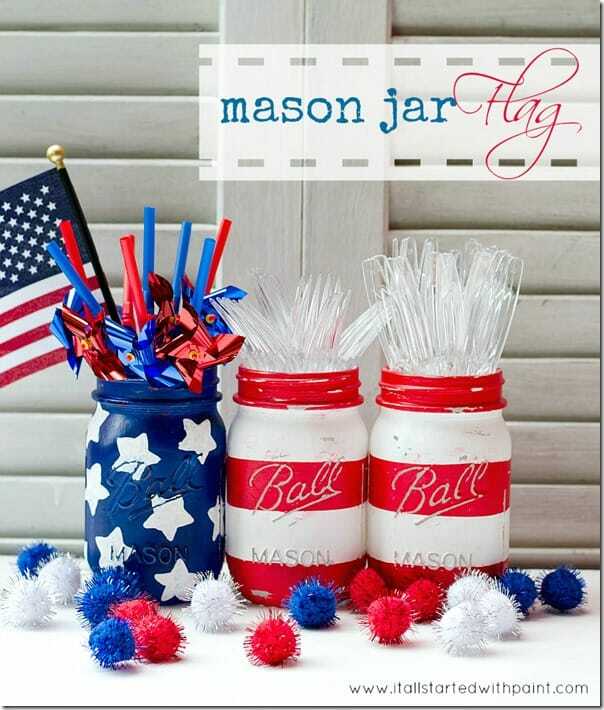 How about painting patriotic mason jars to hold utensils or flowers for a centerpiece? 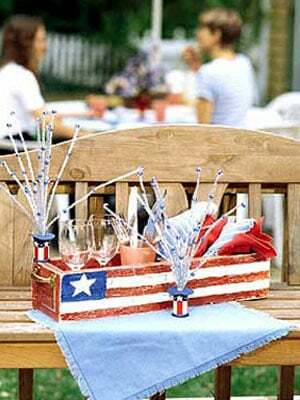 Keep your patriotic gathering simple and make cleanup a snap by using mostly paper products from a dollar store. 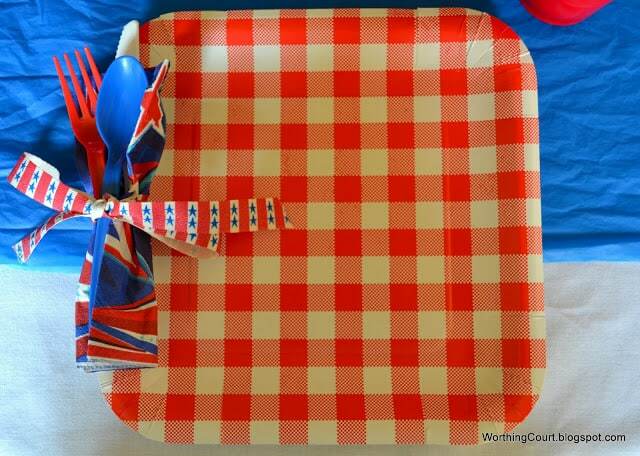 And speaking of tables, look at this adorable idea for using paper plates and plastic utensils. 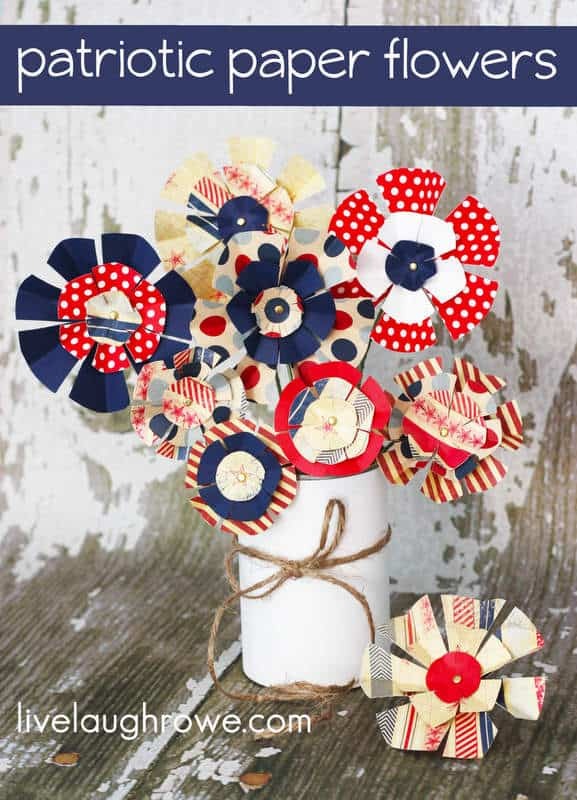 Make a cute bouquet of patriotic flowers using scrapbook paper. 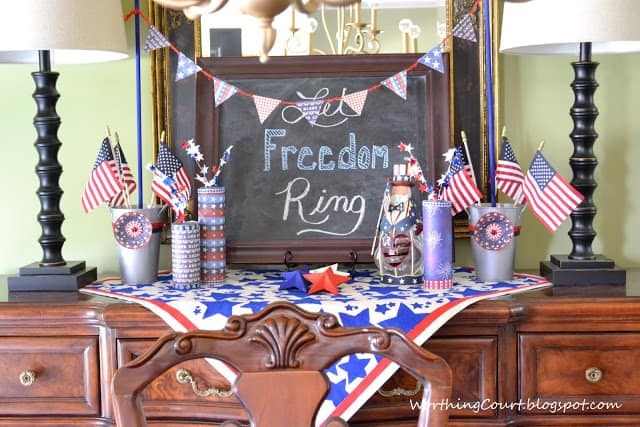 Make this easy bunting by simply draping torn strips of red, white and blue cloth over some cording, then gather and tie them near the bottom with another strip of fabric. 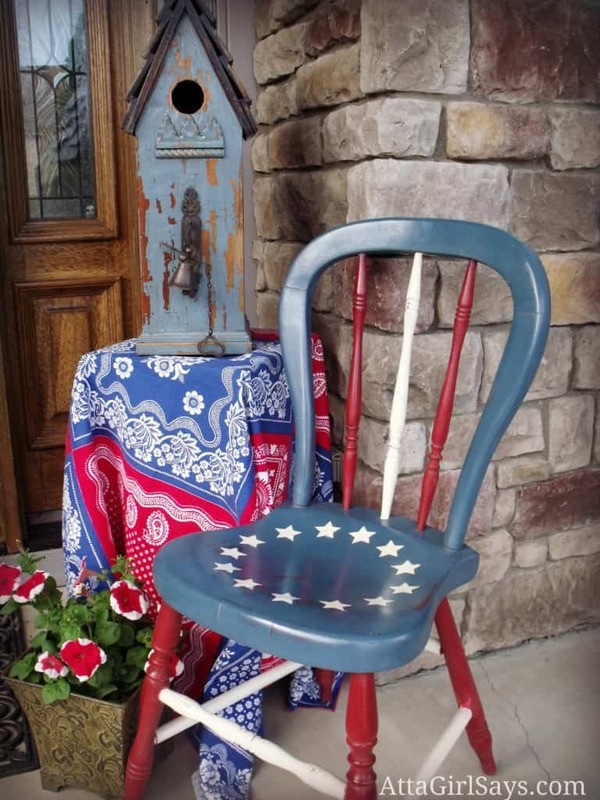 Paint an old chair in patriotic colors. Every cookout needs these, especially in the south! You only need basic carpentry skills to build this vintage looking toolbox. 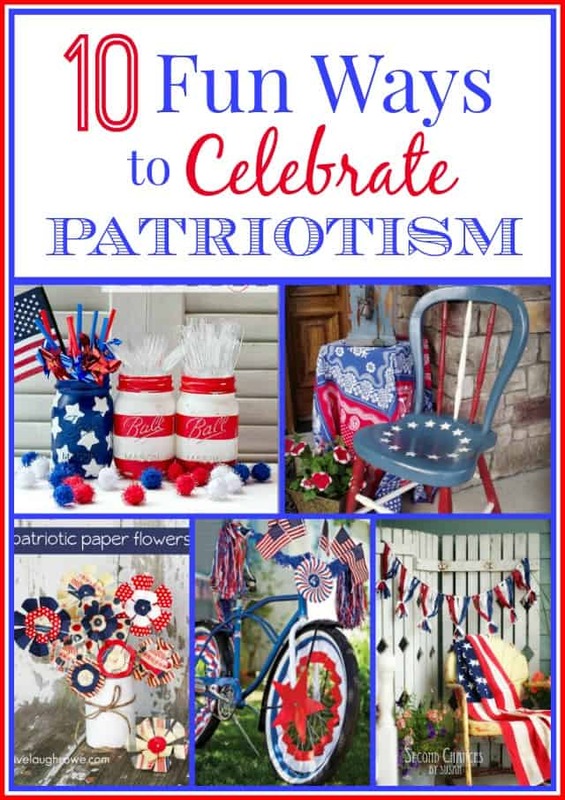 Looking for more ways to show your patriotism? Very cool ideas, Suzy! Thanks for sharing! Fun post, Suzy! I’m a fan of red, white, and blue. You’ve inspired me to get busy on a post of my own. Thanks! 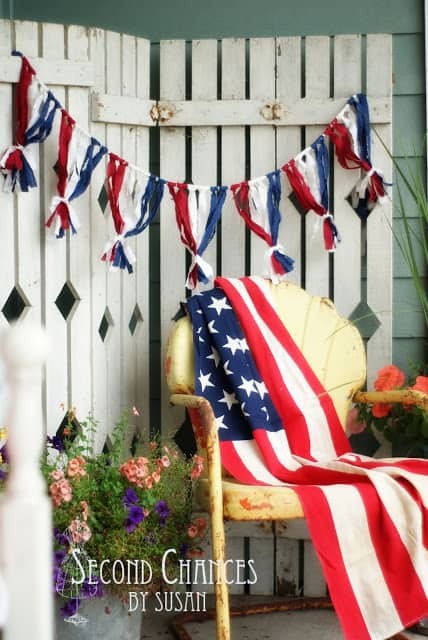 Happy Memorial Day, Flag Day, Independence Day, and Labor Day! I love to celebrate the patriotic holidays of summer. Happy patriotic holidays to you too, Sarah!